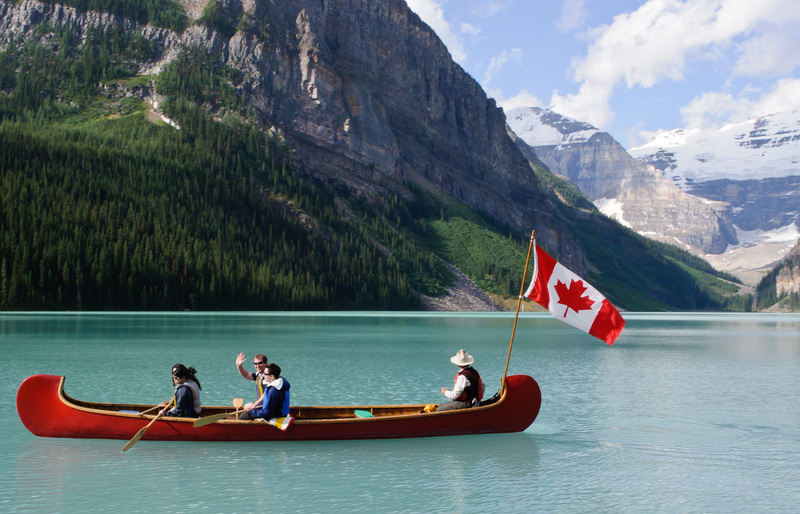 Relax alongside, on, or perhaps even in Canada’s beautiful Lake Louise. 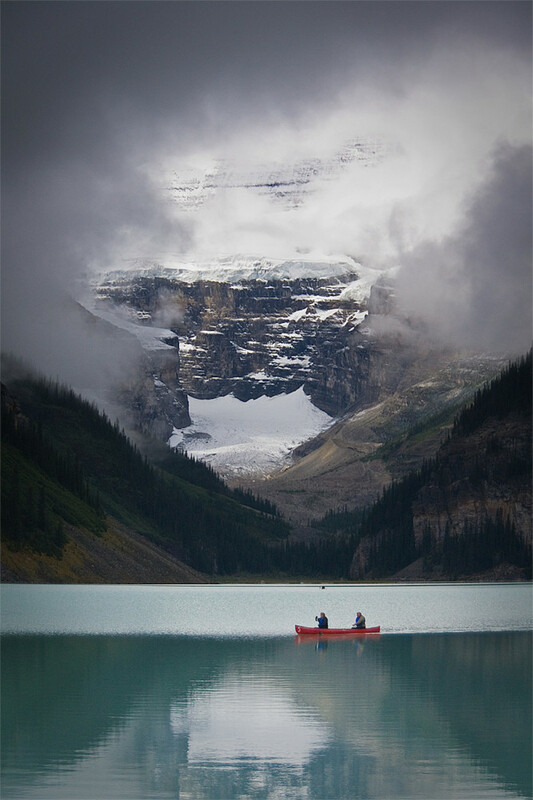 Easily one of Canada’s most photogenic spots, Lake Louise is a gorgeous drop of azure water nestled between the year-round snow-capped peaks of Banff National Park. In winter the glacial lake’s water freezes solid and is best used for skating and hockey – but in summer the water is relatively warm and invites travellers to get both in and on the lake. 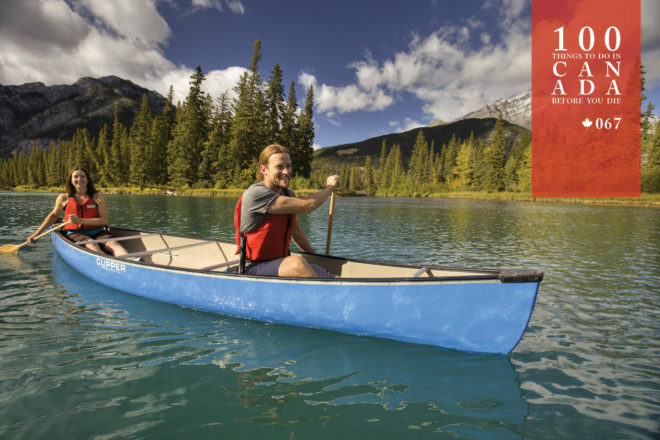 The boathouse of the lake-adjacent Fairmont Chateau Lake Louise rents out canoes by the hour throughout summer, with a special package that includes a packed breakfast and coffee – perfect for those early risers who like to greet the first sun of the day. Each eight-metre-long canoe can hold up to three adults (or two, plus two small children), and every rental includes the use of life preservers . . . and towels for intrepid souls who choose to brave the crisp, clean, glacier-chilled waters afterwards. 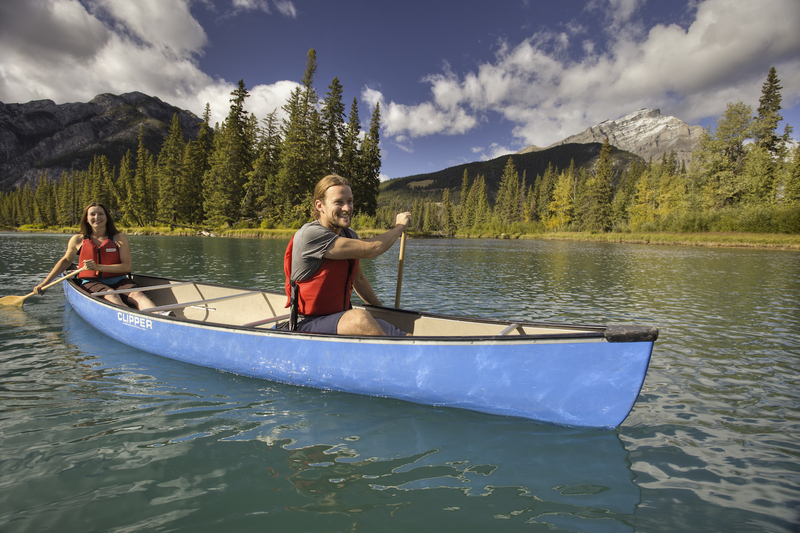 Canoes are only available in summer (May to September) and can be booked by the hotel’s concierge. Try Venture Holidays’ Mountains and Forests tour. LOCATION: Lake Louise is a two-hour drive west of Calgary and the Fairmont Chateau Lake Louise is on the lake’s eastern bank. Wrong province, LL is in Alberta!